About Muskoka District Rentals Inc. 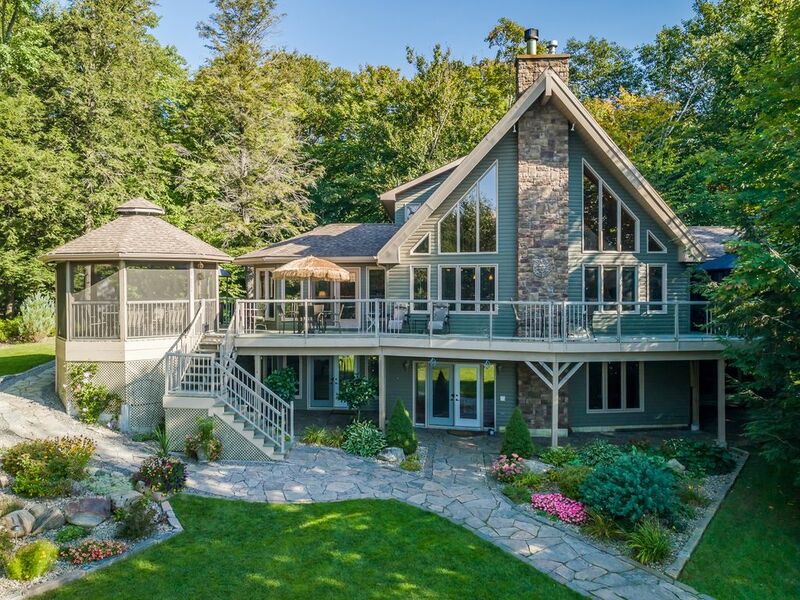 This is the ultimate family friendly cottage in Muskoka, with a private sandy beach, shallow water, 5 bedrooms plus 4.5 baths allow lots of privacy. Ideal for a large family or two families holidaying together. A quiet private bay in a fabulous location close to shopping and amenities in nearby MacTier. View more about Muskoka District Rentals Inc. Owner must approve all applicants. You will be asked to complete an application & once approved to sign a rental agreement. Rates are subject to change until reservation is confirmed and agreement to lease has been signed by the property owner. You indemnify the owner and their agents from any and all claims for damage to your property or injury to you or your guests while at the property. All guests who bring their own or a rental boat acknowledge that they will be held responsible for any damage to the boat, dock, themselves or others, and that they will not hold the owner or their rental agent responsible for any damage or liability issues. You use all water craft at your own risk. Boating and water activities of any kind is inherently dangerous. You are required to have a boating licence in Ontario. A good time was had by all! The Kilty Cottage is everything advertised and more. The Kilty Cottage was just as described and perfect for our large group. Plenty of room to hang out together and enough space to spend some quiet alone time. I would recommend this cottage to any family having a multigenerational get together. The beds were comfortable and the whole house was well designed and cared for. The kitchen was well equipped and stocked with all the basics. The outdoors and lake were gorgeous. Lots of water toys - all put to good use by us. The photos are accurate but only hinted at the relaxing feeling you will come away with after some time spent in this beautiful location. Beautiful property with all the amenities!! We stayed for a weekend for a family reunion and loved it. The cottage has all the bells and whistles. We loved having lots of space to spread out inside and outside of the cottage. Only downside was that there didn’t seem to be enough fridge space and the ice maker is very slow so bring your own if you want ice! Mostly definitely would recommend this cottage for large family gatherings!! A wonderful place for our family ! We spent a week here with our 2 sons,2 daughter-in-laws, and 4 grandchildren ( 4 yaars and younger) . Home was very well equipped and such a nice touch to be able to use basic provisions like sugar, flour, spices etc. Kitchen was very well equipped - couldn't ask for more. We loved our dinners in the screened gazebo.The children loved the beach, the shallow water, the bin of toys - especially the big Tonka trucks. We all enjoyed the paddleboat, kayaks and canoe. Having bedrooms on 3 floors meant that we could all spread out .Everything was spotlessly clean. The only thing that prevents me from giving this 5 stars is the fact that the train yard in MacTier is very close and you can hear trains blowing their whistle and cars shunting during the night ! Otherwise, it was perfect . Stewart Lake is a quiet lake near Lake Joseph and the quaint Historic Town of Mactier. Perfect for families!